Information technology (IT) has been a dominating influence in many large manufacturing and process automation companies. But computer expertise is no longer just the domain of a select few, and responsibility to keep things running has shifted away from the centralized IT department. Information technology (IT) has been a dominating influence in many large manufacturing and process automation companies dating back to the 1970s, the age of mainframes in control rooms. Many of today's IT departments are legacies of the old days when IT was the domain of specialists. They became large and powerful and usually grabbed control of most of the computers installed in the factory and on the plant floor. Industrial distributed control systems (DCS) and programmable logic controllers (PLCs) are completely different from office hardware. But in many large companies, internal politics helped IT take over, with a monopoly on all computer activity, often as a forced internal vendor. As a result, policies became rigid and inflexible with few feedback loops for improvement. Change is here. Computer expertise is no longer just the domain of a select few. During the workday, everyone wants to use the same technology devices they are familiar with on a personal level. The old command and control rules don't apply in the new "bring your own device" (BYOD) world. Computer savvy is no longer just for the geek squad. There is no longer need for a tech person in "the server room." Responsibility to keep things running has shifted away from the centralized IT department. The number of manufacturing and process automation companies that have no official IT department is growing. The key challenge for IT organizations is to understand emerging services and what job roles will be needed. They need to redefine the value proposition and do the things that are now important to the business. The old IT will not just disappear. It will change and fragment into different arenas. In a sense, it will actually grow, not as a central group, but more as extensions of every other department. The cloud dismantles the traditional relationship between physical devices and content, minimizing the need for in-house IT people. There will be no need to make big investments for local computers, hardware, software and personnel. Indeed, this is the strong financial incentive that's driving change. As the adoption of this capability occurs in manufacturing, there will be a natural shrinkage, if not total loss, of the need for IT personnel in the factory and process plant. 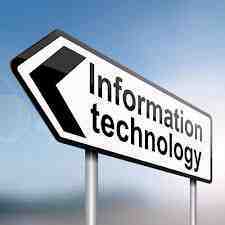 Information technology will evolve from a world that is server-centric to one that is service-centric. Companies will move away from monolithic systems toward multiple, reusable services distributed inside and outside the enterprise. The goal: to decouple infrastructure, systems, applications and business processes from one another. The age of viewing everything through an application lens is coming to an end. Instead, architectures will be selected primarily to cope with soaring volumes of data and the complexity of data management; not for the ability to support applications. Relational databases will not go away; they will start to make way for other types of databases, such as streaming databases. The focus will shift from infrastructure solutions to developing cloud strategies that deliver increased functionality and flexibility, using a mix of public and private cloud-based application and platform services. Though many challenges remain, the cloud is poised to change the face of enterprise computing. Application design, handled traditionally by IT architects, will become a multidisciplinary exercise involving optimization from the perspective of the process, with emphasis on simplicity and efficiency. In the security arena, the fortress mentality in which all IT was architected for security to be foolproof is giving way to systems that respond to multiple threats when and where they happen. As a result, the role of people in data security will decline, replaced by distributed capabilities that detect, assess and respond rapidly and effectively. Today, business process design is driven by the need for optimization and cost reduction. Tomorrow, it will be driven by the need to create superior user experiences that help to boost customer satisfaction. And that's the name of the game.